Ovidiu Csillik successfully defended his PhD Thesis “Spatio-temporal object-based image analysis for land-use/land-cover mapping”. He started his PhD research in October 2015 within the framework of the Doctoral College “GIScience” and finished his PhD research incredibly fast within 2 years and 10 months. 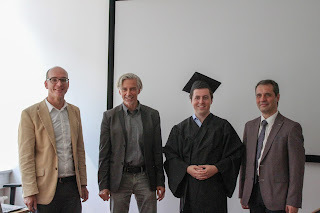 Ovidiu’s research aimed to develop efficient, fast and accurate OBIA workflows for single and time series satellite images for land-use/land-cover mapping, with a special focus on mapping agriculture. First, he integrated the concept of superpixels into multiresolution segmentation workflows. Subsequently, the incorporation of the temporal domain of the satellite images into the analysis led to the development of object-based workflows for crop mapping from time series of Sentinel-2 satellite images. Finally, an object-based time-constraint dynamic time warping (DTW) workflow was developed in an object-based software environment, the first implementation of DTW in an OBIA framework. This research has a significant potential to enable automation and objectivity of OBIA workflows for time series data analysis and was documented by six major publications. Ovidiu will start his Postdoc career at the Department of Global Ecology of Stanford University in the research group of Greg Asner in August 2018. We wish Ovidiu all the best for his future career and endeavours! 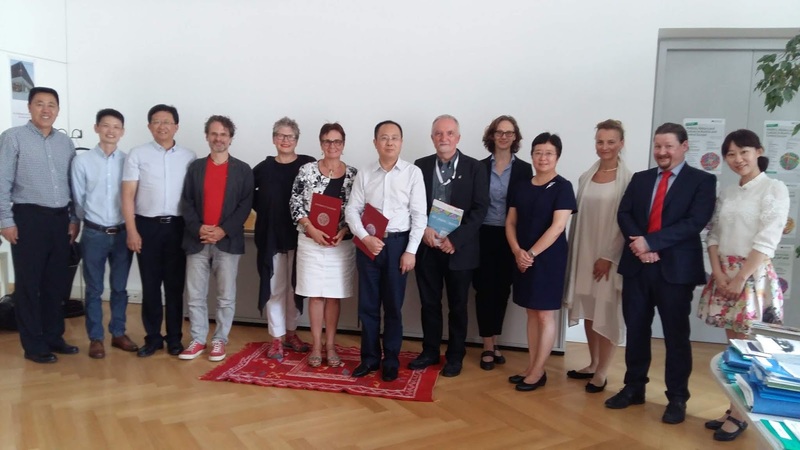 Today we were honoured to welcome Prof HU Minquiang, Chancellor of Nanjing Normal University, for a signing ceremony with PLUS Vice Rector for International Relations, Prof Sylvia Hahn. Based on the renewed cooperation agreement, students from NJNU continue to attend the PLUS Geoinformatics MSc programme with an opportunity to simultaneously earn degrees from both universities. On June 24th the UNIGIS EO4Alps summer school - jointly organized by Z_GIS and GEO - has started. The event is dedicated to the topic “Earth observation and geospatial information: supporting a sustainable use of alpine ecosystems and water resources”. 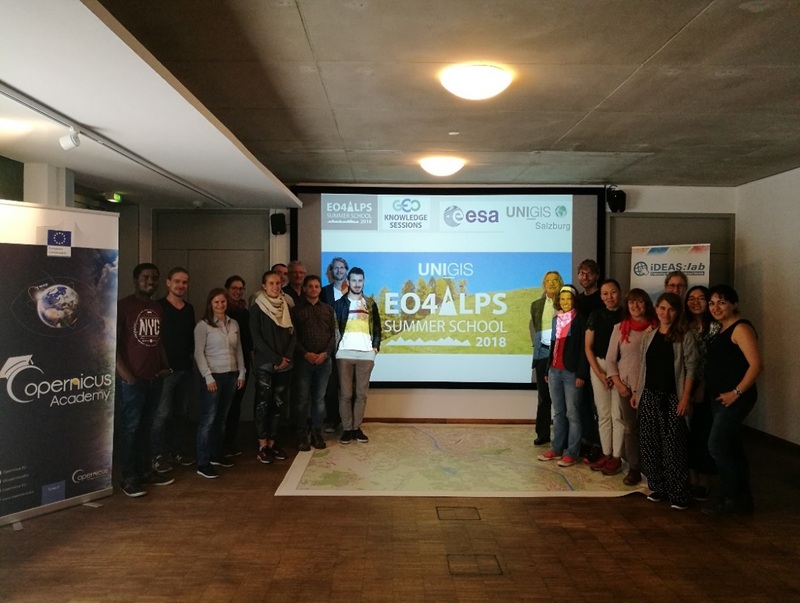 It brings together international students and practitioners from 9 countries and is supported by the European Space Agency (ESA) and the Copernicus Academy. 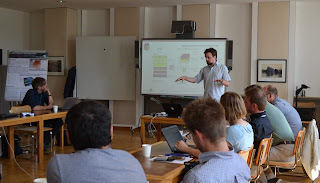 The intense program deals with the key environmental challenges in alpine regions as well as the potential of remote sensing techniques to meet these needs. The combination of international key speakers with hands-on sessions and field trips offers the opportunity to discuss with experts and get first hand experiences. Next week the summer school participants will present their group works in form of posters at the GI_Forum Expo night on Wednesday July 4th.